Since healthy eating and Disney are my two greatest interests, I always get asked for tips on how to eat healthier when visiting the Disneyland Resort. 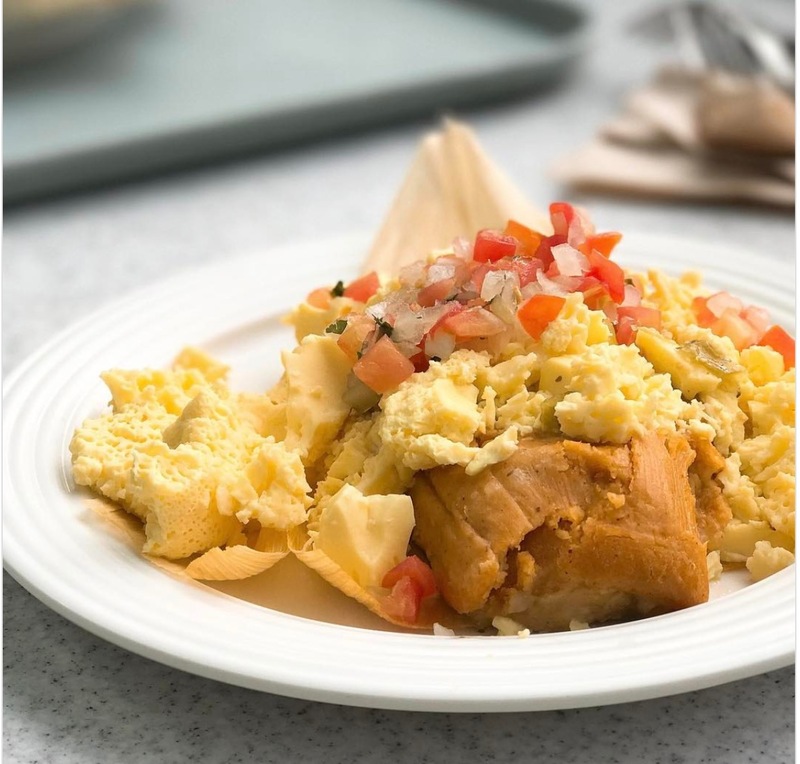 Since breakfast is the most important meal of the day, I thought I would make a food guide on where to find great healthy options at Disneyland Resort; including Disney California Adventure, Disneyland Park, Downtown Disney, and the Resort Hotels. Options that are vegetarian are in green. Options that are vegan are in orange. I would love to hear which breakfast you’re most excited to try! American breakfast burrito, but no sausage and sub turkey bacon for regular bacon. Can be vegetarian with no meat. Any egg & cheese breakfast sandwich when you request without meat is vegetarian. Custom: Scrambled eggs with breakfast potatoes and berries. A buffet, so very customizable for your diet! Breakfast Burrito (without beef). To make it low carb, ask for the eggs, veggies, and salsa in a bowl instead of tortilla. Oatmeal (with maple syrup or honey instead of brown sugar).